E- Trucking or Online Truck Booking is helping the logistics industry to improve. The logistics industry deals with the movement of goods from one place to another to cater to the needs of the current population. E-trucking, on the other hand, deals with the online solutions for the mobility of goods. The online trucking service has numerous benefits which are enjoyed by both, the service provider as well as the customers. It helps to establish a direct contact with the fleet owner and the truck driver. 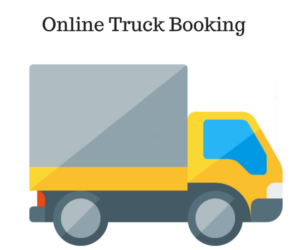 Moreover, it is a much hassle free process of booking a truck. To understand the benefits of e-trucking, the individual should be aware of the complete process that takes place from the placement of the order till the completion of the transportation of the goods. First and foremost, to get the best trucking service, the interested person makes all the required queries through the online portal, be it a website or an app belonging to the transportation service provider. Second, the interested customer is likely to take time to view all the available trucks on the website or the app and their load carrying capacity. It helps the customer to choose the trucks that would be able to bear the weight of the cargo while transporting them to their destination. Third, the customer would want their goods to be transported carefully to their destination. Thus, the interested customer is likely to choose a truck that has a robust body and wheels. The choosing of the vehicle is done by looking at the specification of the truck on the online portal. Fourth, the availability of the apps and websites of transport service industry comprises of GPS. It means after the truck that the customer has booked for the dispatch of goods has left; the customer can track its route. Last but not the least; the customer can analyze the transaction of their goods on the online portal. The truck hire and transporters are an important part of the Indian economy. With the introduction of new technology transaction of goods from one part of the country to the other is becoming easier. The individuals involved in information technology are bringing about solutions and methods that can pump up the Online Truck booking service. The various technological inventions introduced by the information technology comprises of techniques that help in enhancing the price value of the transportation of goods. Some of the examples of the steps taken by the IT are that they have introduced an alternate to expensive fuels like diesel and petrol, and ensure analyzing the type of traffic help in almost every corner of India to understand the shortcomings and fix them. On having been blessed by the best information Technology methods and solutions Trukky is the nation’s best truck load transportation service provider. The company is considered to be the best in providing goods transaction transport service on some major routes in India like Mumbai-Ahemdabad, Delhi-Mumbai, Delhi-Chennai, and Mumbai- Bangalore. Additionally, the best thing about Trukky is that the company has its mobile interface. It means that you can now book trucks from the firm from anywhere, anytime you please.